Jouchaku! Rider Henshin! Here's double video review for the S.H. 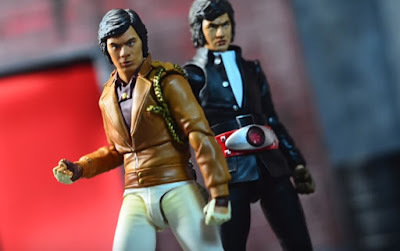 FiguArts Retsu Ichijoji (Uchuu Keiji Gavan) and the S.H. FiguArts Hongo Takeshi (Kamen Rider Ichigo), the fathers of the Metal Hero and Kamen Rider franchise brought to us by youtube toy reviewer D Amazing.